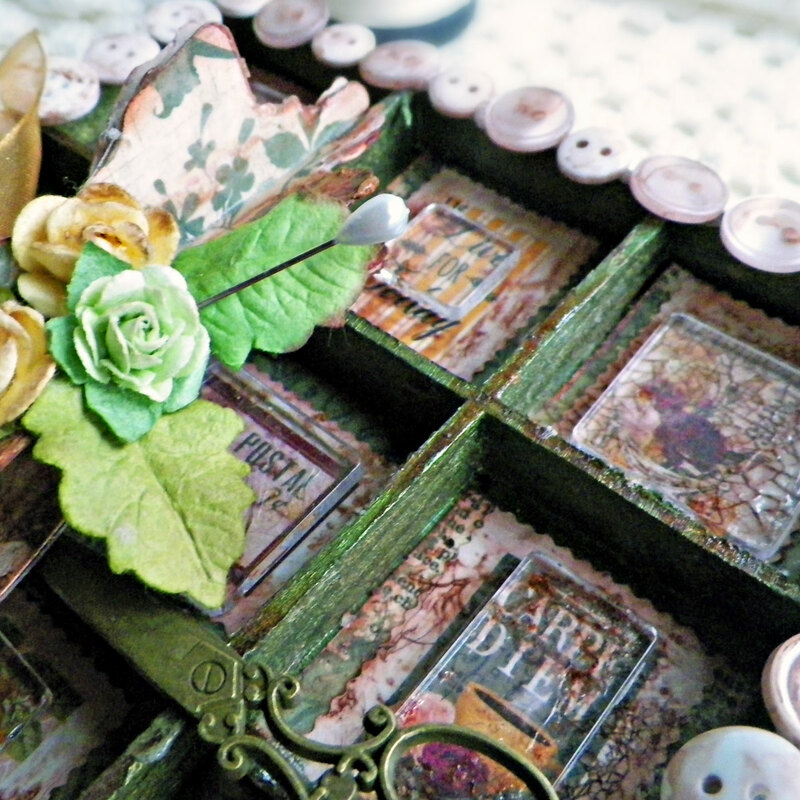 The BoBunny Blog: Rose Cafe Shadow Box! Hey BoBunny Readers! Today is my turn to share the fabulous new "Sticker Stamps" and what fun I have had creating my little Dress Form Shadowbox with them. After painting and distressing this wooden box I chose to use my sticker stamps as a sort of "wallpaper." I wanted a very vintage distressed look. 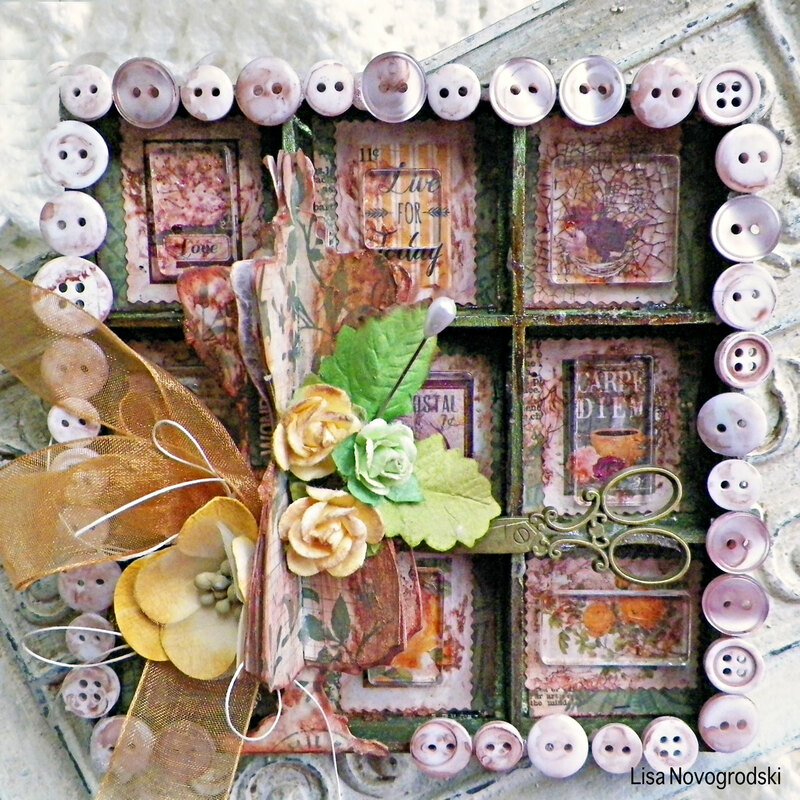 I layered them over my Rose Cafe Garden paper. I distressed them with a brown ink then used a heavy hand with Crackle Medium. Once it dried I used some brown ink over the cracks so they would be more visible. The dress form was created in a 3D fashion using Rose Cafe Pattern Paper. I also distressed my buttons by dying them in alcohol ink. 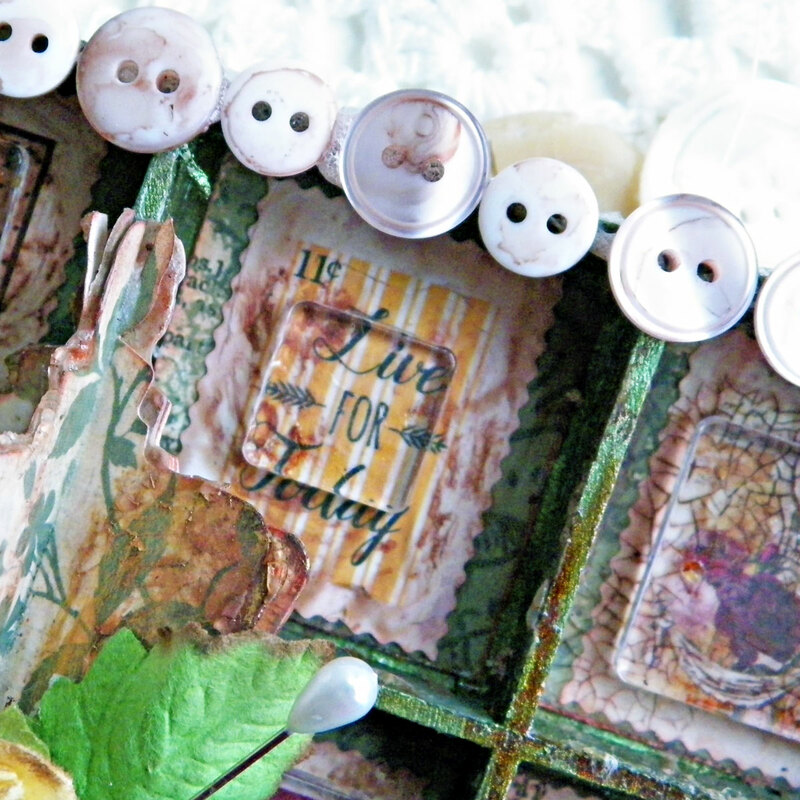 You can see in this photo how beautifully vintage these stamps look with that crackle finish! I highlighted the crackled look by adding some acrylic blocks over each sticker to magnify them! So pretty and I love all the buttons! Oh so so sweet!!! I simply adore this! !